*80% energy savings vs. halogen *50,000 hours average long life *MR-16 direct replacement *Fully dimmable *Environmentally friendly Synergie by USHIO: From the world leader in MR-16 lamp technology comes the world's most efficient solid state LED MR-16 lamp. 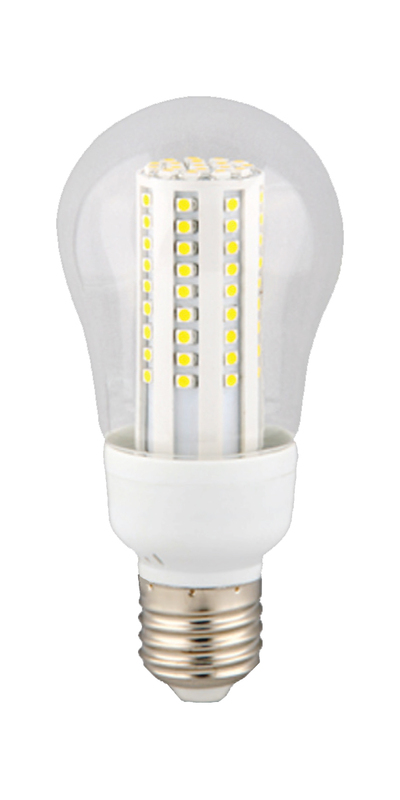 Synergie's state of the art technology allows this 4W LED MR-16 to directly replace 20-25W halogen MR-16s. No false claims, just outstanding performance that yields 80% energy saving. In fact, Synergie is the first LED MR-16 lamp to meet the efficiency requirements of California's stringent Title 24 regulations. Rated at 50,000 hours, Synergie has a true life rating of more the 10 times that of standard MR-16 lamps on the market today. Synergie is the premium choice for those applications where frequency of lamp changes and cost of ownership are significant factors. Available in Spot (12 degrees), Narrow Flood (24 degrees), Flood (34 degrees), and Wide Flood (50 degrees) beam spreads.